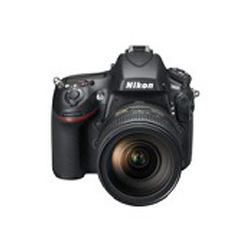 Our firm is one of the recognized suppliers and trader of best quality assortment of SLR Camera. Fabricated making use of premium quality raw material and other materials together with advanced technology at our vendor’s end; these are offered by us in numerous designs and specifications. In adherence with the industrial defined norms and guidelines, these products are highly demanded. Siddhi Vinayak Video is a major player in the broadcast equipment supplying service industry leading the field in the delivery of broadcast equipment facilities at prestigious Audio/Video production projects, TV Serials, Corporate Video Productions, TVCs and other corporate and entertainment events. An exceptional pedigree spans eight years of experience delivering technical solutions to some of biggest names in broadcasting, television and AV production industry in India. We are trusted by our clients as they know we can and have achieved at the very highest level in Media production, Live editing and Broadcasting. We can deliver an outstanding package including project management from the outset to the projects completion; a dedicated, seasoned operational team alongside an extensive freelance database, technical crew, logistics and on site management and resourcing. We are authorized dealer of Canon, Nikon etc. With our vast experience and excellent reputation as a provider of broadcast solutions we are confident that we can provide the technical broadcast operation to not only meet but exceed your expectations.